White Sox top prospect Yoan Moncada made his official Chicago debut Wednesday night at The Rate. Moncada’s call-up was greeted with excitement and jubilation across White Sox Nation as fans celebrated #MoncadaDay leading up to first pitch. 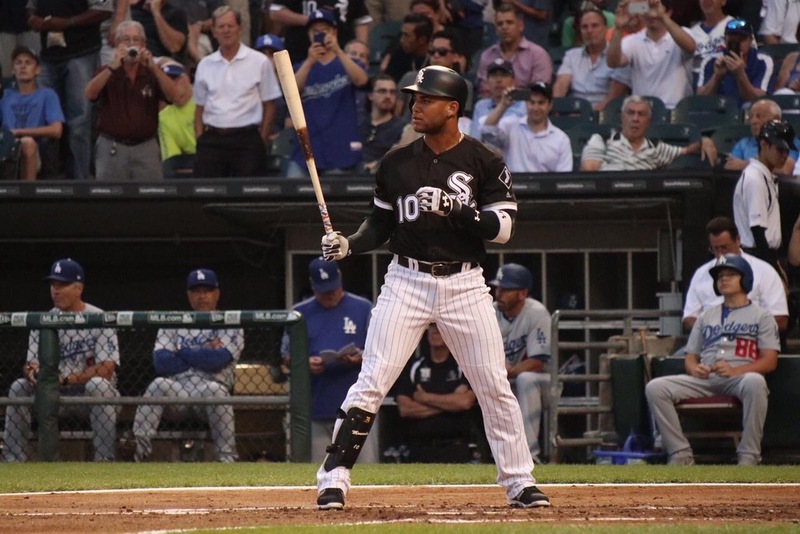 Moncada received many ovations Wednesday, but the loudest was during his first at-bat in a White Sox uniform. He put together an 0-for-2 night at the plate, but managed to draw a walk on a full count in his first at-bat. Despite going hitless, Yo squared up a few balls, making great contact on a line-out to center, and rippig a ball down the left field line just foul. On the field, he was just as solid in his first start at second base. The highlight of the night was his nifty double play turn at the bag, something reports say he has been working very hard on down in Charlotte. So it’s encouraging to see that his hard work is bearing fruit. The Sox ended up losing the game 9-1 after a rain delay ended the night early. They are still winless since the All Star break. Expect many more games like this, and embrace it. Keep your eyes on individual growth and moments and not the team’s just yet. But despite the loss, there was a general turning of the tide feeling last night. Moncada is finally here, and a new era has begun. That’s not to say that it will be guaranteed or perfect, nor that he is the complete solution. There is still a ton of work to be done, but last night was cathartic in a sense that it was an official step into a new age of White Sox baseball.